A UK environmental think-tank has praised strategic development plans (SDPs) in Scotland in general and the Aberdeen City and Shire SDP in particular. The Green Alliance report 'Opening up infrastructure planningâ€™ highlights the value of integrating the consideration of different infrastructure sectors (such as energy, transport, water and waste) with wider development issues and constraints in a spatial plan which is open to dialogue at the city region scale. 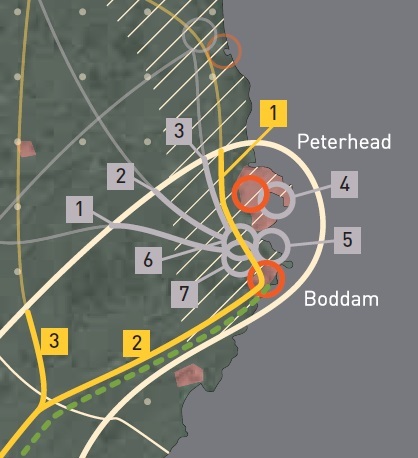 The Aberdeen City and Shire Strategic Development Plan (2014) is used as an example of good practice in this area. The plan, approved by Scottish Ministers in March 2014 highlights infrastructure requirements in the city region ranging from potential carbon capture transmission networks through upgrades of the electricity grid, new railway stations and junction improvements on the road network. The Scottish Government has recently commissioned research on infrastructure delivery in Scotland, with the results likely to be published later this year.